Police officers fired multiple shots, with at least one striking Brian Simonsen in the chest. 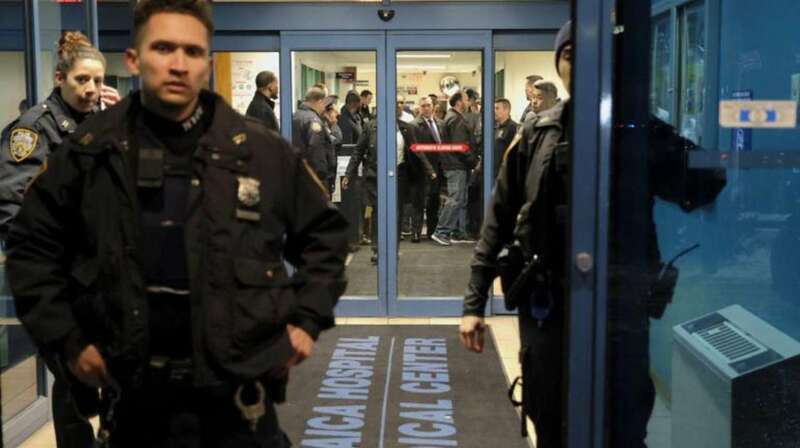 He was taken to Jamaica Hospital Medical Center, where he was declared dead, Police Commissioner James O'Neill said. This story was reported by Matthew Chayes, Robert Brodsky, Anthony M. DeStefano, Deon J. Hampton, Alison Fox and Zachary R. Dowdy. It was written by Brodsky. Det. 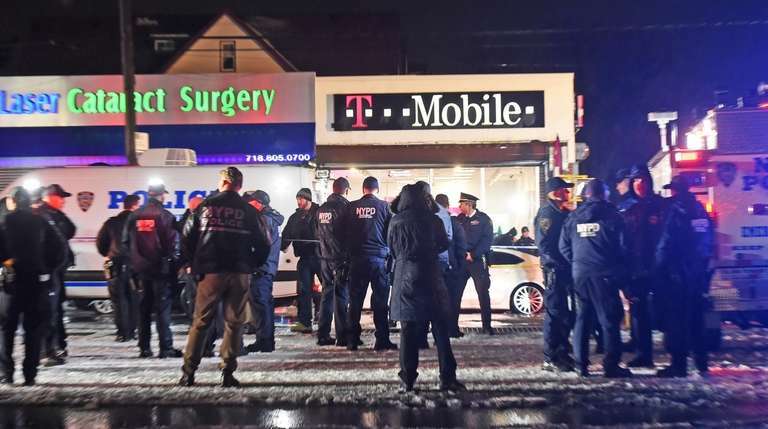 Brian Simonsen, 42, of the 102nd Precinct, a 19-year veteran of the force, was critically wounded shortly after 6 p.m. while responding to the robbery of a T-Mobile cellphone store on Atlantic Avenue and 120th Street in Richmond Hill, Police Commissioner James O'Neill said. Police officers fired multiple shots, with at least one striking Simonsen in the chest. He was taken to Jamaica Hospital Medical Center, where he was declared dead, O'Neill said. "This appears to be an absolutely tragic case of friendly fire," O'Neill said. A police sergeant, whom O'Neill identified as Matthew Gorman to The Associated Press, was also struck in the leg, police said. 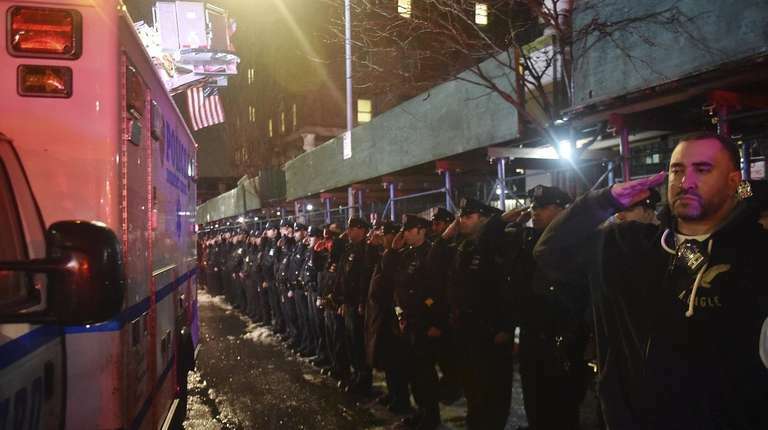 The eight-year veteran of the 102nd Precinct was taken by a civilian passer-by to Jamaica Hospital with injuries that were not life-threatening, O'Neill said. 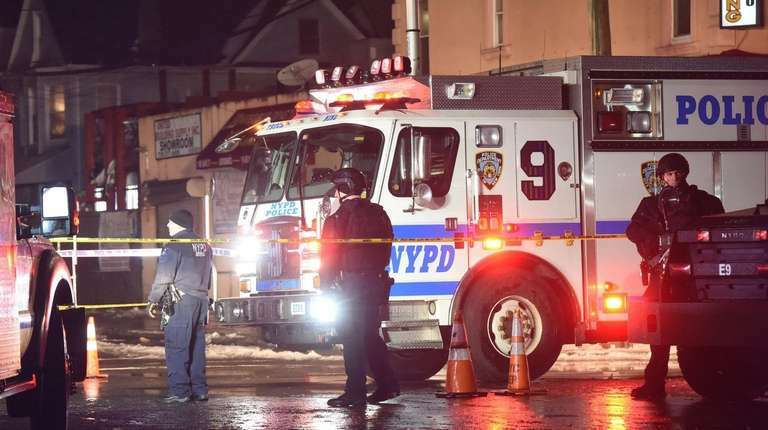 The 27-year-old robbery suspect, described by police as a career criminal, was taken to New York-Presbyterian Queens hospital in Flushing, where he was listed in stable condition, O'Neill said. During a late-night news conference at the Jamaica hospital, Mayor Bill de Blasio called the shooting "absolutely heartbreaking." 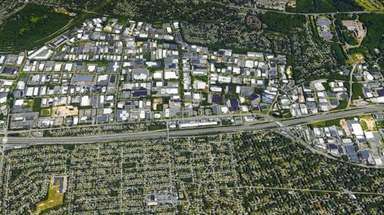 Police said the suspect had an imitation firearm that was recovered at the scene. Police swarmed to the store around 6:10 p.m. after two 911 callers reported a robbery in progress, O'Neill said. One of the callers said two employees of the cellphone store were forced by gunpoint to the rear of the store, O'Neill said. Simonsen and the police sergeant, working an unrelated case in the area, arrived on the scene and entered through the front of the store, O'Neill said. He said the officers confronted a male fitting the description of the suspect holding to be "what appeared to be a handgun," O'Neill said. The officers opened fire and retreated from the store, at which point Simonsen was shot, O'Neill said. Detectives Endowment Association president Michael Palladino said Simonsen, the union delegate for the 102nd Precinct was not required to be on duty Tuesday night. "He was the kind of fellow who led by example," Palladino said. "He led with his actions." Simonsen is the first New York City police officer to be shot and killed in the line of duty since July 2017. Dozens of somber NYPD officers waited outside the hospital emergency's room, seeking updates on the condition of their colleagues. Police cruisers from Suffolk and Nassau counties were outside the hospital. "This is an absolute tragedy," an emotional O'Neill said. "The worst outcome any police officer, or the family of a police officer, can imagine." The last NYPD officer to be shot and killed in the line of duty was Det. Miosotis Familia of the 46th Precinct in the Bronx. The 48-year-old mother of three died on July 5, 2017, when a gunman, who police identified as Alexander Bonds, fired on her as she and her partner sat in a vehicle at East 183rd Street and Creston Avenue. Bonds was killed a block away by other officers who fired when he drew a .38-caliber handgun. “The men and women in law enforcement put their lives on the line each and every day for the safety and security of our community and others," McDermott said. "This serves as a reminder of the bravery, courage, and everyday heroism of the men and women in blue."